In its January 1832 edition, the Gentleman's Magazine published a lengthy article "On Substituting Steam-power for Horse-labour." The VSCM has not done much with English Steam Carriages, but this is delightful reading. 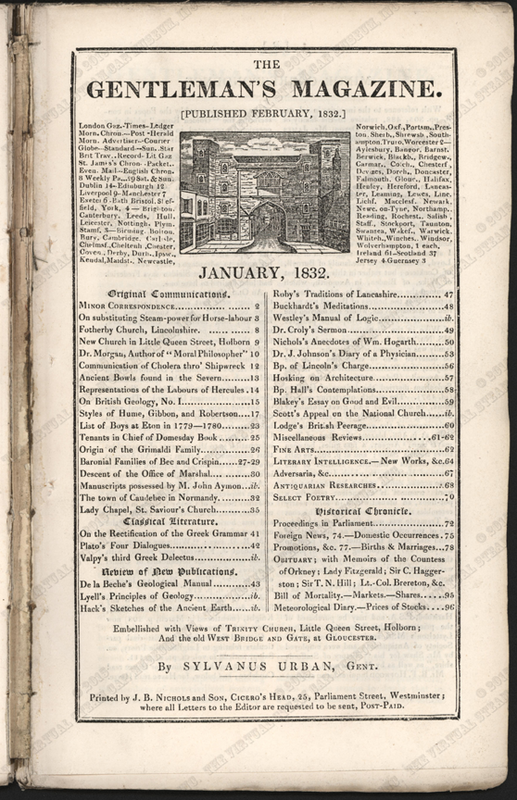 The Gentleman's Magazine, January 1832.